I love UF series that feature strong, capable female characters, those who can get stuff done but might still be vulnerable and flawed. So I was really excited to be able to check out the work of Stephanie Nelson, who's created the brand new Gwen Sparks series of books, beginning with the first installment, Craved. The titular character of the series spends her days (and nights!) trying to create some sense of order in a cut-throat world of witches, vampires, and weres...even as she herself has skin in the preternatural game. I'm pleased to say that author Stephanie Nelson agreed to let me ply her with some readerly questions about Gwen and her world. So without further ado, here's the word from Ms. Nelson herself! MNtR: So, I hear that as a child, you in fact did not enjoy reading. What took up much of your time and interest instead? SN: I played volleyball from fifth grade all the way up until sophomore year, so that kept me busy. MNtR: Craved takes place in the supernatural town of Flora, Missouri. Is the locale based on any real areas or cities that you like? SN: No, I just wanted somewhere where there’d be enough room/country that could house a supernatural community that was away from the public eye. I’m from Illinois so I’m fairy familiar with Missouri. I picked it on a whim but also wanted it to be close to my state. I did have a woman contact me from Alabama from a town called Florala, who happened to have the same name as me. After a little research, I found out that Florala only has a population of around 1,900 which is about the same as Flora. Kinda a fun bit of information, maybe I should visit Florala to see if Gwen and the gang are there. MNtR: You've mentioned that you first came up with Gwen and her world several years ago, but that at the time you felt you couldn't properly tell the story. What had changed in the intervening years to bring you back to Gwen successfully? SN: When I came up with the idea of Gwen’s story, I was just starting out in the writing world, therefore I had no clue how to write a book. I began a book about a witch who tracked down vampires because they were killing witches for their blood but abandoned it because I didn’t like the way I wrote. They say practice makes perfect and believe me it does in the writing world. I started on multiple books and learned something from each one of them. I was almost all the way done with one book but the idea of the witches being poached by vampires was always in the back of my mind. I ended up putting the almost finished book on hold because I couldn’t stop thinking about the other idea. 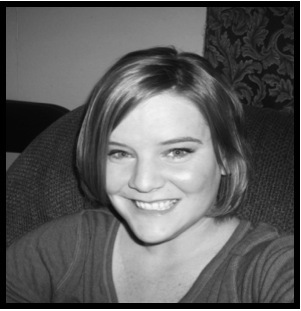 After a few years of trying to write, Gwen’s story came to me a lot easier than it had before. I like to look at it as if Gwen was patiently waiting for me to tell her story while I learned how to do that. SN: I don’t actually. I already have the plot for book 3 planned out but after that I’m not sure. I’m thinking there will be at least 4 books in the series but there could be more than that also. MNtR: Do you have other worlds, other stories, that are brewing in the back of your mind? Are there any other genres that you'd be interested in writing about? SN: Constantly. Although, the only genre I ever plan to write is paranormal romance. I’m addicted to the genre myself so I find that’s where my interest lie. I’m currently working on two other books as I also write Hunted but my head is full of ideas for other books that will have to wait until I have more time, or until I can figure out a way to pack more hours in the day. MNtR: Just for fun: would you prefer to be a witch, a vampire, or a were in the Craved world (and why)? SN: Although witches are being targeted by vampires in my books, I’d still want to be a witch. Imagine being able to use magic pick out your clothes, or form objects out of thin air. Very cool. 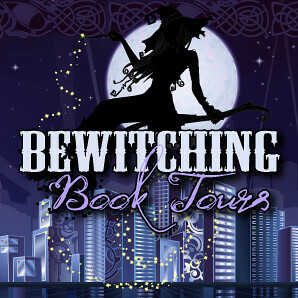 This has been a Bewitching Book Tours blog visit. To check out the other events happening for Nelson's Craved, click here! ...or hit the image above.